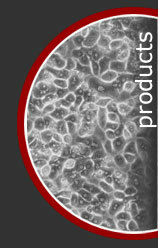 ZenBio offers a normal human Renal Proximal Convoluted Tubule Epithelial cell system. Renal proximal convoluted tubule epithelial cells (RPCTs) are an essential research tool for understanding a variety of biological processes in the kidneys. They can also be utilized to determine renal toxicity of compounds as well as to study underlying causes and fundamental aspects of human kidney diseases. These primary RPCTs are collected from unfractionated kidney cell preparations from normal, non-diseased human kidney tissues. 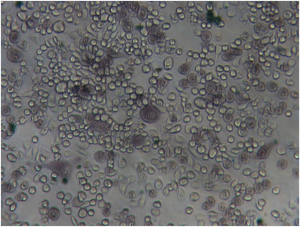 The cells can be cultured and expanded in ZenBio's unique renal epithelial cell culture media formulations delivering a robust renal cell culture for use in experiments and screening assays. ZenBio provides RPCTs cryopreserved at 500,000 cells/vial along with 50ml of RPCT plating media (cat# RPCT-1) for each vial to establish initial culture. Purity of each lot is verified using morphology and CD13 flow cytometry – ZenBio RPCTs are qualified at >80% CD13+ upon QC release. Each lot of primary renal cells are tested and verified negative for HIV-1, HIV-2, HTLV I & II, Hep B & C, Syphillis and CMV. Custom donor specifications are available upon request and a number of different plate and flask formats can be customized to meet your particular research project needs. 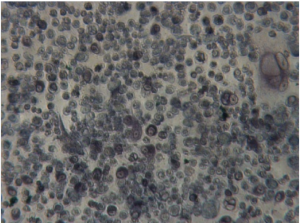 Morphology: 24-48 hours after plating the cells should appear as crescent shaped cells. For more details or to place your order, call us directly at 1-866-234-7673.